ENERGY ALU-HOLZ 78mm Energy efficiency rating of ENERGY ALU-HOLZ 78mm windows has been increased by 30% by using glass with thermal conductivity coefficient of U=0,7 (to compare with ALU-HOLZ 68mm windows with U=1,1). ENERGY ALU-HOLZ 78mm windows, with their outstanding technical parameters and natural look, fit perfectly to modern construction buildings as well as to those more traditional design buildings. 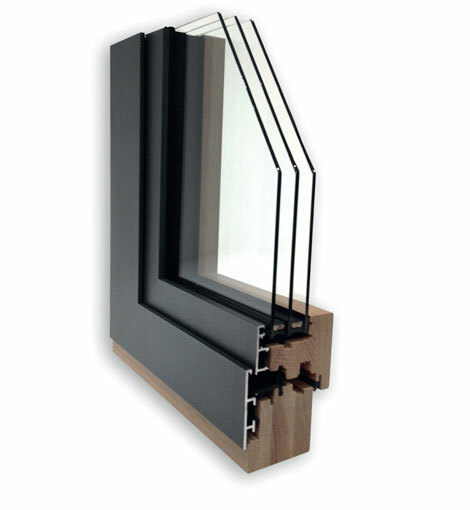 Wooden frame thickness 78mm + 18,5mm aluminium profile from the outside. Choice of any glass panes with maximum thickness of 34/40/46mm, quadrat FB of 48(+1)/54(+1)/60(+1). Distance frame is offered as standard.